Playing with Lego promotes creativity, spacial knowledge and imagination and as other tools Lego helps developing emotional values and social intelligence through collective play, (socio)dramatic play and narrative play. In general, playing contributes to the development of emotional values and a positive self-esteem through the mastery over the tools and the imaginary worlds the player creates. All experiences during play educate the player by providing enjoyable and sometimes not so enjoyable experiences (frustration if the construction is not working as intended). 5.000.000.000.000 Lego elements have been produced until today. 15.000.000.000 Lego figurines populate the globe. And - LEGO is the world leading tire manufacturer. 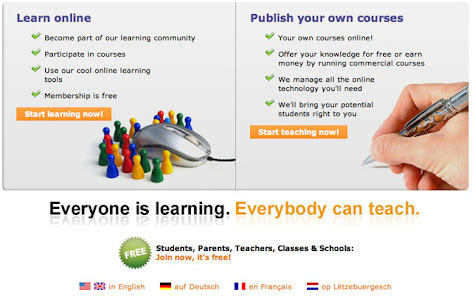 Some online educational portals try to convince teachers and students to subscribe because they offer "for free" commercial resources like online dictionaries and encyclopedias. For free - meaning that the state has spent enormous sums to pay licenses. I can't help but finding this strategy quite odd as there are lots of useful yet really free resources on the net that most Internet literate students know about and use on a daily basis during homework. After having worked as a primary school teacher, ICT trainer, research coordinator for 20 years I quit my (well paid) job as a state official to found the company EducDesign. So far EducDesign has implemented some interesting long term ICT, teacher training and school development projects in public and private schools in Luxembourg and invested a lot of its resources in the development the portal solution OLEFA which offers some great open tools for creative learning (Storyboard, Tiparlo, Wiki, Webbook) and resources management (library, multimedia data, teaching materials, etc.). From my experience at school as a teacher I knew already that change in education is very slow and that substantial change is hard to achieve. I have also experienced that people who try to move the system from within are rarely granted for their efforts and sometimes leave school or if they stay, resign and isolate themselves in their classroom until retirement. So what's the situation in Luxembourgish education today? Well, I must say that nobody really knows which way the country is going. On one hand, a lot of teachers started to develop their teaching practice (or at least to reflect on it) as there seemed to be a positive political climate for change (mostly due to the disastrous results of Luxembourgish students in the PISA survey conducted by the OECD). This move began after the latest elections which lead to a change at the head of the Ministry of Education. On the other hand, I have the strong impression that again a certain mistrust against "the system" is arising. Teachers feel that there is to much focus on some pilot projects which have little to do with their own situation in their "ordinary" school and a lot of inconsistencies between political messages and political decisions. Le's see where this will end up, as we will have elections again next year. On Friday night I went to see the movie "Into the Wild" directed by Sean Penn and based on the nonfiction book by Jon Krakauer. It's the true story of Chris McCandless, a young man who, after getting his college degree leaves everything behind, his parents and his sister, his room and his car, gives away his money and even burns part of it, and goes off for a two years trip ending up in Alaska's wild nature. The movie tells me that getting an educational degree or a driving license isn't enough to serve as a rite of passage to real life where you feel being more than a product of your nearest environment, composed by your family and its history or your schooling and the relationships you experience within or around your school life. 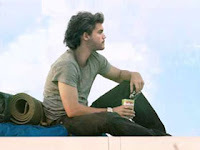 Definitely Shawn Penn is a great director and Emile Hirsch who plays Chris McCandless is just captivating. As an "avant goût" visit the movie's website at www.intothewild.com. Wilhelm Busch, the father of violent comics and satirical picture stories, died on the 9th January, 100 years ago. His Max and Moritz stories were published in 1865 and are well known all ower the world. And we all remember Teacher Lämpel's exploding pipe, don't we ? Going live of wikia - the new Wiki search engine. Le's be patient it's just the beginning. Don't expect to find what you are looking for until a collaborative community has been attracted and formed around the wiki farm. I will certainly keep an eye on this project. At EducDesign we have been working on our own search engine for a while now. As a matter of fact, the idea was born two years ago. It's also only a first version but we think I could be growing rapidly. It's strongly focused on education and it's meant to be fed by people posting interesting sites they have discovered. If you want to have a look, visit the project at www.schoosi.com. Education Today and Tomorrow - After all maybe Shakespeare wasn't so literate as we used to think! As always education is a big issue in the debates preceding presidential elections. So it is in the US. Reform No Child Left Behind. Ensure access to high-quality early childhood education programs and child care opportunities so children enter kindergarten ready to learn. Work to place effective teachers in every classroom in America, especially those in high-poverty, high-minority areas. Reward effective teachers for taking on challenging assignments and helping children succeed. Support highly-effective principals and school leaders. Make science and math education a national priority. Reduce the high school dropout rate by focusing on proven methods to improve student achievement and enhance graduation and higher education opportunities. Close the achievement gap and invest in what works. Empower parents to raise healthy and successful children by taking a greater role in their child’s education at home and at school.